The fundamental theorem of algebra: a polynomial of degree with complex coefficients has complex roots, counting multiplicity. Euler, Gauss, Lagrange, Laplace, Weierstrass, Smale, and many other mathematicians worked to prove this theorem, using complex analytic, topological, or algebraic methods. Let . 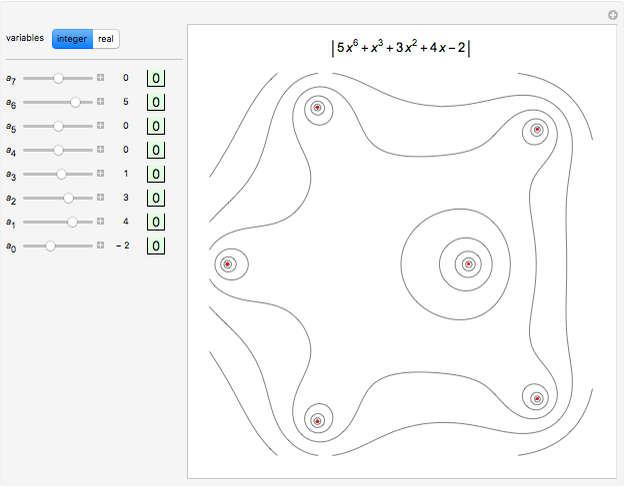 This Demonstration lets you vary the coefficients of . 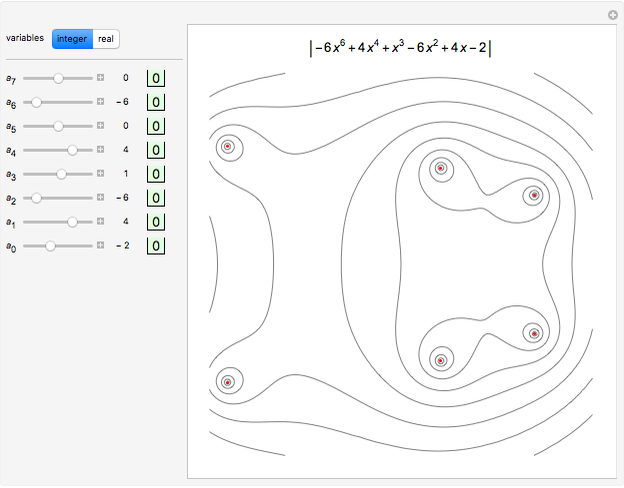 The roots (or zeros) of are shown as red points in a contour plot of the absolute value of in the complex plane. 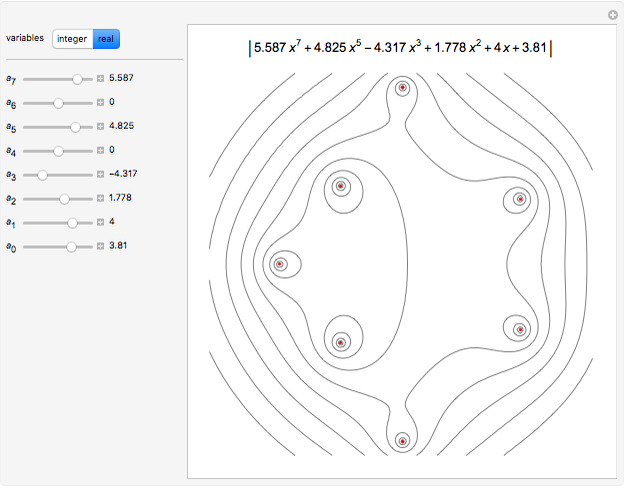 Contour lines of the absolute values of circle these roots. Mouseover a root to display its approximate value. Click a green-boxed zero to set that variable to zero. Ed Pegg Jr "The Fundamental Theorem of Algebra"